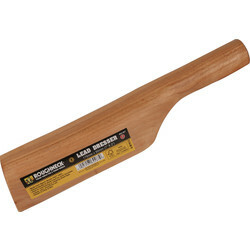 At Toolstation we supply all the highest quality roofing tools for professional roofers and contractors. We proudly supply roofing equipment from respected brand, Roughneck, to help roofers achieve professional and high-quality results every time. 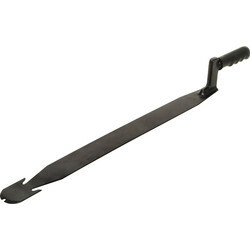 The Roughneck slaters ripper is ideal for shearing off fixing nails when replacing damaged slate. 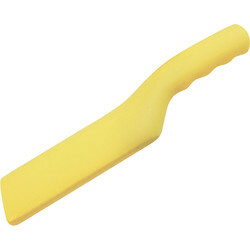 This easy to use slate ripper is ergonomically designed with a welded handle and rubber grip. 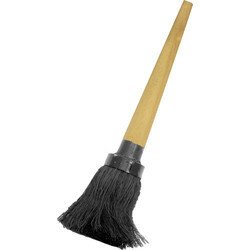 Its hardened steel construction and anti-rust finish helps this slaters ripper last long-term, even with heavy use. 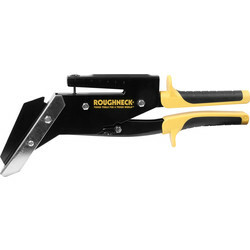 An essential piece of roofing equipment for any professional roofer, the Roughneck slate cutter is well-suited to cut and trim both natural and fibre cement slate. Roofers can achieve accurate hole punching easily thanks to the slate cutter spring loaded handles and sharp 3.2mm hole punch diameter. For dual-functionality, the Roughneck slaters hammer also effectively punches holes with its pointed end and can pull nails with the claw in the centre of the slate hammer head. 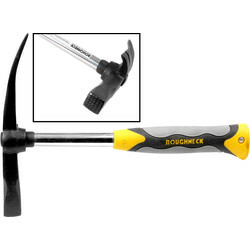 The 16oz weighted hammer head firmly fixes slates in place. For flattening sheet lead, or setting fold in sheet metal before roof flashing, try the lead dresser. 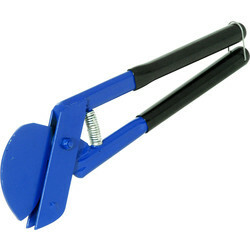 This all-round roofing tool is suitable for use with copper, zinc or aluminium. Receive free delivery with your order when you spend £10 or more, or click and collect from your closest Toolstation branch.